Doping problems have led to the International Cycling Union refusing a 2013 World Tour license to the Russian Katusha team. 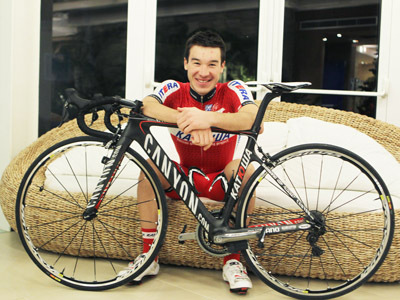 ­"The first reason (for the license refusal) is that that between 2009 and 2012 several cases of doping were established within the team,” Vyacheslav Ekimov, Katusha’s general manager, is cited as saying by the Interfax news agency. “The second reason is that the team hasn’t been paying sufficient attention to doping control. 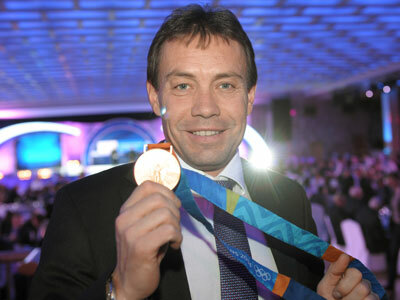 And the third one is the doping scandal that occurred with Denis Galimzyanov. " On December 10, the ICU announced the list of 18 teams licensed for the 2013 World Tour, with Katusha, who finished second in the 2012 Tour missing. The reasons were unknown until the Russian team received an official refusal from the cycling’s governing body on Tuesday. Katusha say they’ll use all legal means to get back on the World Tour and have already appealed to the Court of Arbitration for Sport. In April the Russian team’s rider Denis Galimzyanov, was handed a two-year ban after erythropoietin (EPO) was discovered in his body. The rider confirmed the use of a forbidden substance, but stressed that nobody on the team knew he was taking it. The refusal of the World Tour license mean’s Katusha will miss cycling’s biggest events such as the Tour de France, Giro d'Italia and Vuelta a Espana.